Important Note: I will discuss Covered Combination in this article, but as a bonus I will disclose a tip that will help you to limit unlimited losses in case the strategy goes wrong. Remember as we will discuss, covered combination strategy can incur double unlimited losses if the trader is very unlucky. But otherwise, and most of the times it is a great strategy. 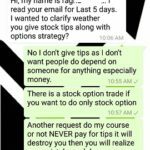 So please read the full post to understand how to limit your losses in this strategy. How many times it has happened that the stocks in your portfolio do not move much in a month? It happens in most months isn’t it? Only in one or two months in a year either it rises by 10-20% or more or declines by 10-20% or more. Otherwise it stays in a range. The question is how to make money in those months when the stock does not move much and is range bound? Covered Combination is the answer. Note: Covered Combination should be done only if you own equal to or slightly more or less than the stock’s equivalent value in a lot in its futures. For example if you are doing it in ICICI Bank (my favorite stock :)), you should own at least 250 shares of ICICI Bank as one lot of futures of ICICI Bank is 250, Or it can be done with futures. But technically speaking Covered Combination is done with shares in your account. It is a mildly bullish to neutral strategy. When you own a lot of shares of a company and its not moving much, you can adopt this strategy to make money while still owing the shares. However if the stock tumbles heavily, you lose money more money than you could have by not entering this strategy. If your stock does not move much, you stand to make a good amount of money than those who did nothing. The good news is that most of the times the stocks do not move much, but the very bad news is if it falls badly you tend to lose a lot. Another drawback is you make less but do make money if stock continue to rise. So the only drawback of this strategy is if the stock keeps declining. You have 250 shares of ICICI Bank bought at an average value of Rs. 1,000.00 per share and you think for the next one month the stock is not going to move much because the quarterly P/L announcements have been made and the results were as expected by the market. There isn’t much news to follow in this stock so for the next one month or so the stock may move in a range. On 19-Feb-2014 ICICI Bank stock closed at 1030.90 (NSE Rate). Your view is that till the F&O expiry of March 2014, the stock will not cross 1100 and will not fall below 950. You can trade a Covered Combination for this stock. You can then sell the OTM 1100 ICICI Bank 27-March-2014 Call. Closing price is: 14.35. Similarly you can sell the OTM 950 ICICI Bank 27-March-2014 Put. Closing price is: 9.00. ((14.35 * 250) + (9 * 250)) = Rs. 5837.50 (less brokerage commissions). If you view is correct and on 27-March-2014, the March expiry day, ICICI Bank trades somewhere between 1100 and 950, you pocket the premium received when you sold the call and the put. Rinse and repeat every month – keep making money, month after month until ICICI Bank breaks the range. You can then look for another stock. Please note that you were planning to do nothing with the shares anyway and just hold them, so you just made this cash for free. Moreover most brokers will not ask for additional cash to sell the options, the stock you hold in your demat account will act as collateral. You sell the call and the put against your shares as collateral. Please check with your broker, my broker allows it. Warning: If ICICI bank goes WELL below 950, your broker may give you a warning call to either close the position in the PUT or sell the shares. Well the fact is you need not bother till the break even point is reached. How do you know the break even point? 14.35 + 9 = 23.35. 950 – 23.35 = 926.65 is your break even point for the put side. We need not calculate the break even point for the call side as the shares will make a profit anyway. If ICICI bank falls further than 926.65, you will incur losses in both the shares and the sold put. A bad situation to be in. 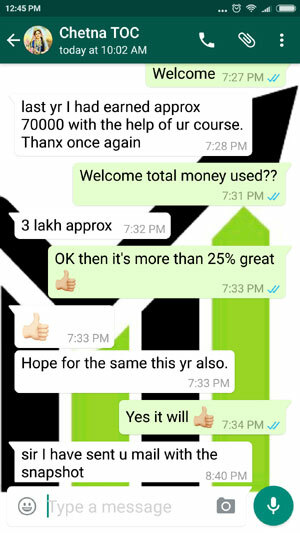 Therefore Covered Combination is a limited profit but unlimited loss strategy. Another Important Note: You may get aggressive and sell 2 lots of calls and puts thinking that you get double the money so your break even point is even further down. DO NOT EVER do this. Your break even point will not change even if you sell 100 lots. You will be in big trouble if the stock keeps moving south. And you know very well that does happen often. Trading more than your account size is never recommended. Agreed you may be right in most occasions, but one overnight fall in ICICI Bank will wipe out years of profit and some more and you will be left in a heavy loss. Selling naked options is a dangerous trade and should be done with caution and experience. One lot is fine, because I will tell you a tip that will reduce your income but help you to limit the losses as well. Again do not sell 2 lots of options of either calls or puts if you have only 1 lot of future or cash invested in the stock. Of course if you have 500 shares of ICICI Bank, you should sell 2 lots of calls and puts. 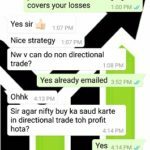 Covered Combination as you know by now is an unlimited loss trading strategy. But and this is important, the loss is only when the stock keeps declining in value. If it declines a little and/or goes up a little, you are safe as the call and put both options will also decline in value with time and will expire worthless. You make money from both of them. If the stock keeps moving up, there isn’t any problem. The put will expire worthless and you can keep the premium. The call will increase in value, but so will your shares. Lets suppose ICICI Bank on the March expiry day is trading at 1200. The put expires worthless. But the 1100 call will be trading at 100. Agreed had you done nothing and kept the shares, your profit would have been 50,000.00. Now you profits are less, still significant. But think frankly, why would someone wait for so long to sell ICICI Bank shares? How on earth they know that ICICI Bank will go up to 1200 by the end of March? You waited because you had a reason to wait. You knew that your profits are limited so why sell when only a few days are left for expiry? Ultimately the result was satisfactory. You made a big profit and were already making profit using this strategy. You should be happy with the limited profits. Overall your stocks fared better than people who did nothing with their stocks. When ICICI Bank was rising, most people would have already sold their shares when it was at 1100 – taking a profit of 10% or Rs. 25,000.00. You are still better than them. Moreover add to this the premium you collected every month, month after month. Even if for 5 months if ICICI Bank was trading in a range, you would have made 5837.50 * 5 = Rs. 29,187.50 EXTRA if you did a Covered Combination month after month. (This depends on the option prices prevailing at that time. It can be more or less.) Your friends who did nothing with their shares of course made nothing. That’s an absolute return of 24.01% ((60,025/ 250,000) * 100) in just 5 months. What else can you ask for? So what can be wrong? Why people don’t trade Covered Combination and make money on their idle stocks lying in their demat account? 1. People think options are too risky and do not trade out of fear, or they just don’t know this strategy exists. 2. The risk is unlimited if the stock plunges. No 2 is a huge problem. A big decline can take away months of profits and you will really feel bad about your decision for trading Covered Combination. What if this happens in your first month of trading Covered Combination? 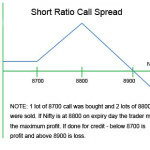 However there is a trick to limit losses to some extend in this strategy. What if you make selling the put into a credit spread? You sell one lot of 950 put and buy another lower put for protection. Since our problem is the put and not the call, we will only buy a put for protection and leave the call naked so that we still get a reasonable premium month after month and still will be able to limit losses to some extend if the stock keeps going down. Lets see if that is possible. The 900 March put is currently available for 4. Which means if you buy it you will be protected for losses beyond 900. You will still get a credit. Sell 950 at 9 and buy 900 at 4. Your total credit is 9-4 = 5. You still get 5 * 250 = 1250 from the put. If ICICI Bank does not fall below 950 you can keep that premium. But yes if it falls below 945 you will have to take a loss in the put. 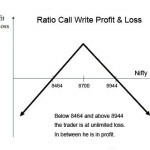 However since you got 14 from selling the call you are safe till 945 – 14 = 931. So what’s your Max loss here? 931-900 = 31*250 = Rs. 7750. Below 900, the 900 put will protect your losses. 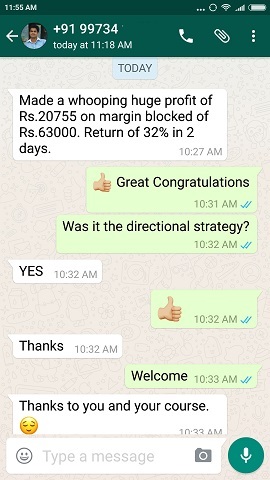 That’s the Max loss you will suffer for trading Covered Combination. Remember this will come ones or twice in a year. In other months you will keep making money from Covered Combination. Isn’t this an excellent strategy to make money from stocks lying idle in your account? Disclaimer: Examples given here are should not be substituted for real life trading. These are just examples to help you understand this strategy. When you trade Covered Combination, you might find better option prices or worse. This article does not guarantee that you will make this kind of a return. But such returns are possible, if you look for non-volatile stocks. The only trade off is that non-volatile stocks have low premium in their options. Will you try Covered Combination now? I will be glad if you do. If yes please write your results. It will be great to share. I find it very interesting. I want to do it In nifty options. 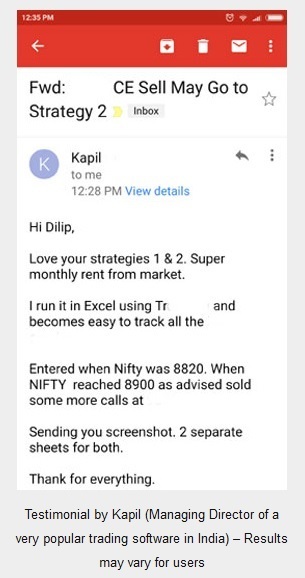 Pls.suggest how can I do In nifty? 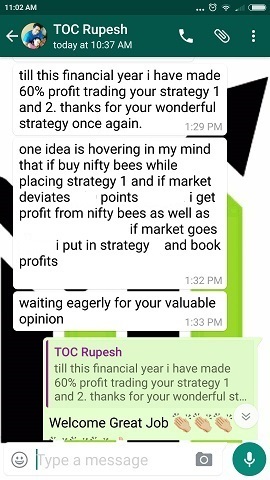 There are nifty bees stock which comprises all the 50 stocks and I can buy it In cash delivery. 1. Future will expire on some day. You cannot hold them forever, they will expire on last Thursday of the month and if on that day you are making a loss then you have a loss in this trade. However with stocks you can hold and wait for a revival. Eventually when stock recovers your trade will turn into profits. So doing this trade with Future of a stock is not a good idea.